Maximizes network performance by monitoring performance. Troubleshooting network problems and outages. Collaborating with network architects on network optimization. Use of all network reporting and tools available to identify network capacity concerns. Escalate/recommend network capacity modifications to meet current, forecasted and planned capacity requirements and service levels. To manage, control and predict the performance, utilization and capacity of all LAN/WAN network resources and individual network components. To translate business needs and plans into capacity and performance requirements for LAN/WAN network services, and to ensure that future capacity and performance needs can be fulfilled. Candidate must majoring in Computer Science/Information Technology or equivalent from a reputable university with a minimum GPA of 3.00. 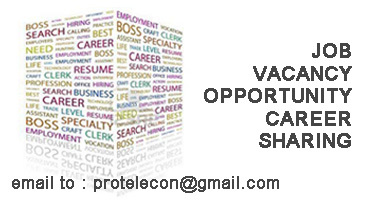 At least 5 Year(s) of working experience in the related field is required for this position, performing network capacity management and planning of large enterprise networks such as Telecommunication, ISP/NAP and Network Provider. Microsoft Office for Performance Reporting. Cacti and Zabbix or other NMS and OSS Report creation experience. Experience with Network Element (Router, Switch, Server, Wifi AP, Etc). Experience with SNMP and NMS (Cacti – Zabbix).